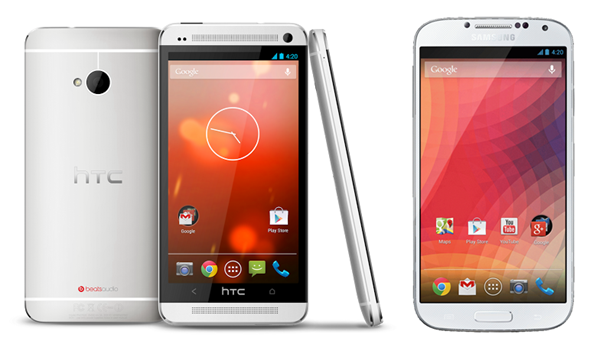 In what goes down as great news for Android purists, both the HTC One and Samsung Galaxy S4 have just recently hit the Google Play Store running on stock firmware. This means, for those that missed it, that both the TouchWiz and Sense launchers, as well as all the additional, non-Nexus bloatware, has been eradicated, and users can enjoy using their storage space for stuff they actually want. 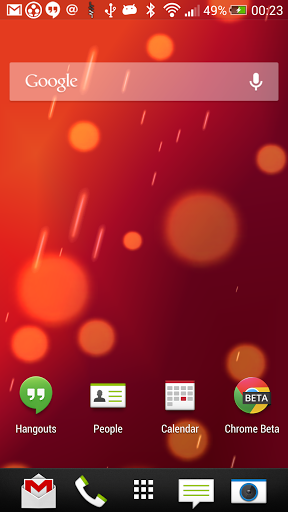 Naturally, the Google Edition offers one or two niceties not found in either the standard HTC One or Galaxy S4, but thankfully, the new red SunBeam live wallpaper, boot animation, and tweaked camera app are now available for all to download. Naturally, one or two of these features require root access in order to be installed. The new boot animation, which consists of some neatly arranged spinning dots (think Nexus color configurations), is not particularly hard to install, but unless you’re rooted, you won’t be able to go ahead and install it. If you do happen to have root access, you can download the ZIP file linked to at the bottom of the post, and place it into /system/media. From there, you’ll need to use a root file explorer to fix permissions rw-r-r-, and after a reboot you’ll be good to go. This procedure will overwrite the animation you currently have in place, but that doesn’t particularly matter, since the new Google animation is rather better. If you don’t want to go on messing around with root files, you can always transfer via ADB to the data/local directory, but this method is famously hit-and-miss. As well as the boot animation and wallpaper, there’ve been one or two interesting updates to the camera app.The settings menu therein seems much more accessible, while volume toggles for shutter control have also been added. Apart from editing images from within the Gallery, which has been confirmed by several users as not working at this point in time, everything else should function smoothly. Below you’ll find the links to the necessary files, and if you do happen to give any of these new little features a try, be sure to leave your comments!